CES 2014 has now come to an end. Like Gary Shapiro said in the opening keynote, this was the biggest CES yet. The 2014 CES featured over 3200 exhibitors and over 150000 attendees, with 35000 of said attendees from outside the US. But eventually even that will be a reality. 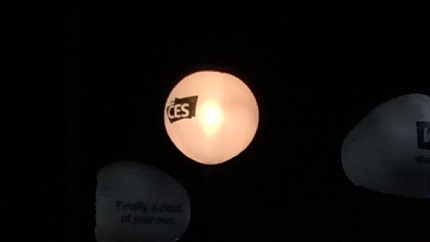 Click here to see the CES2014 photo stream, and here to see our coverage of the 2014 CES. The CES is over but the coverage has only begun, Gadgetzz has received more than a dozen items to review and much more is on the way. So stay tuned! If we met at the CES, thank you and see you again in 2015! Las Vegas, NV, January 10, 2014 – With amazing tech breakthroughs and thousands of new product introductions, innovation blossomed as new technologies came to life, redefining the future at the 2014 International CES®. Owned and produced by the Consumer Electronics Association (CEA) ®, the International CES is the global gathering place for all who thrive on the business of innovation. CES represents all aspects of the technology ecosystem and brings together leaders from major global industries, as well as policy makers and government officials. The 2014 International CES featured government officials from across the United States and Canada, including three members of the United States House of Representatives, four state elected officials, five members of the Federal Communications Commission, including Chairman Tom Wheeler, and 13 members of the U.S. Department of Commerce, including Secretary Penny Pritzker. Other representatives from the Federal Trade Commission, the Environmental Protection Agency , the National Highway Traffic Safety Administration, the U.S. Department of Energy and the Federal Aviation Administration were also in attendance. In addition, governments from outside the U.S. sent leaders including the Minister for Innovation and the Digital Economy from France and Vice Minister, International Affairs and Communications from Japan. Ambassadors from the Slovak Republic and Poland also attended this year’s CES. CEA will release final 2014 CES numbers upon its independent audit late this spring. The International CES will return to Las Vegas, January 6-9, 2015. Previous: How Much Do You Walk At The CES?